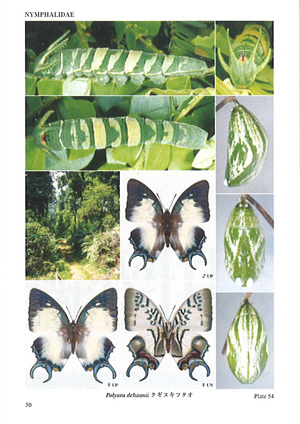 The Sequel to "The Life Histories of Asian Butterflies Vols. 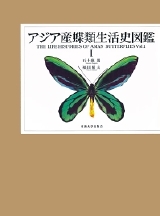 I-II"
This is the 3rd volume of the series, "The Life Histories of Asian Butterflies". In this latest volume, the life histories of 194 species are introduced by beautiful and vivid images with detailed description. - Ludlow's Bhutan Glory (Bhutanitis ludlowi), one of the most mysterious swallowtails which was re-discovered from Bhutan in 2011. 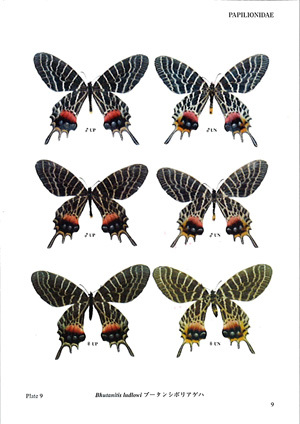 The early stages of this species are illustrated and compared with three allies in this genus. 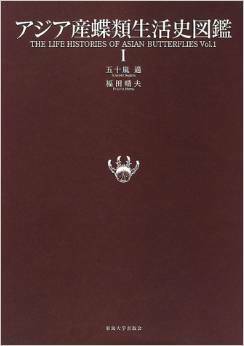 One of the authors, Harada is the student of another author, the late Dr.Igarashi (1924-2008). Harada was inspired by Igarashi when he was a young boy. Harada got interested in the early stages of butterflies and became a skillful field researcher. 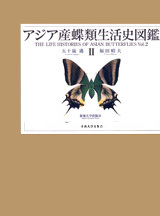 Igarashi published two huge volumes of "The Life Histories of Asian Butterflies" and planned to continue the series. However he abruptly passed away in 2008 and the series came near to be abandoned. 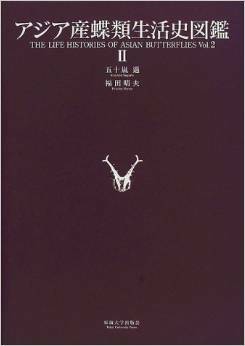 Harada decided to take over his teacher's will and completed this volume. 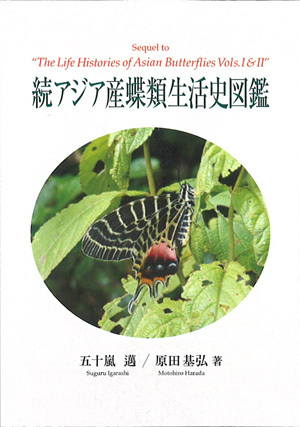 Passion of two Japanese earnest butterfly enthusiasts led this volume to be published. There are more than 20,000 species of butterflies on the earth. But species which life history was known is not many. 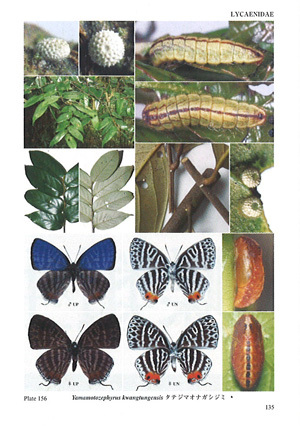 This book show more than 300 species of life history of butterflies of Asia (not including Japan). 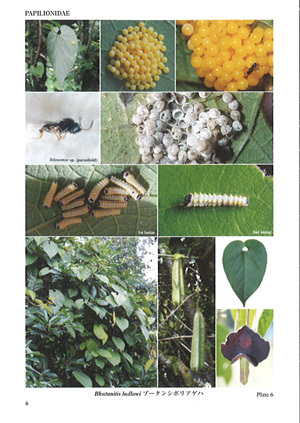 Not only egg, larve, pupa, food plants are also described. The price is expensive but the content is morethan the price !